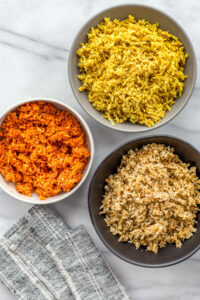 Plain cauliflower rice makes an amazing substitute for regular rice when serving it with curries, stir fries, and in meal bowls. But if you’re looking for a substitute for rice as a side dish—a la Rice-A-Roni (the San Francisco treat! )—it’s a little bit lacking. Solution? 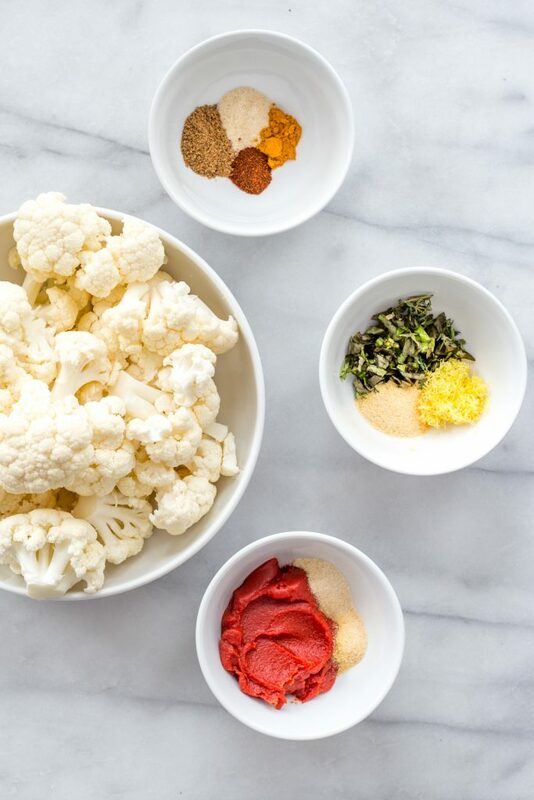 Spice up that cauliflower rice! 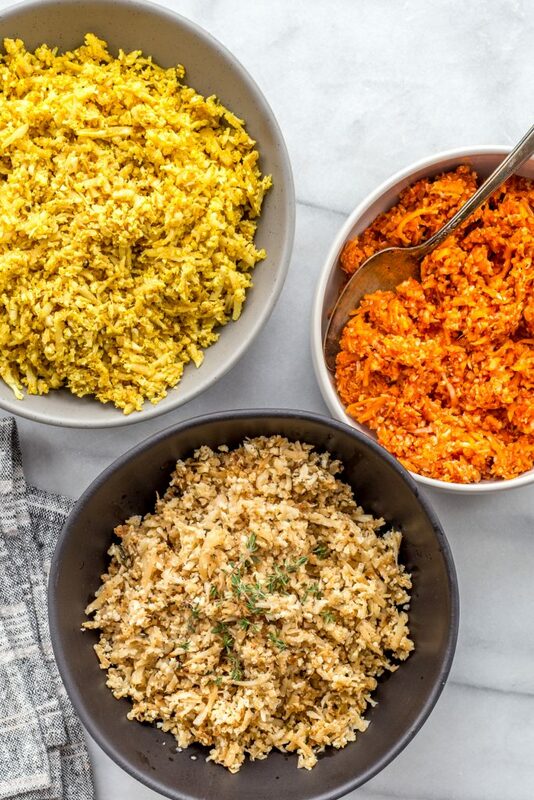 This trio of keto cauliflower rice recipes has something for everyone—and Indian-inspired rice with garam masala and turmeric, Lemon & Herb cauliflower rice that’s perfect for serving with your favorite protein, and Spanish cauliflower rice for an epic burrito meal bowl. While some cauliflower rice recipes call for steaming or microwaving the cauliflower, I’ve found that it’s worth it to get out a big skillet and make it on the stovetop with ghee or oil. 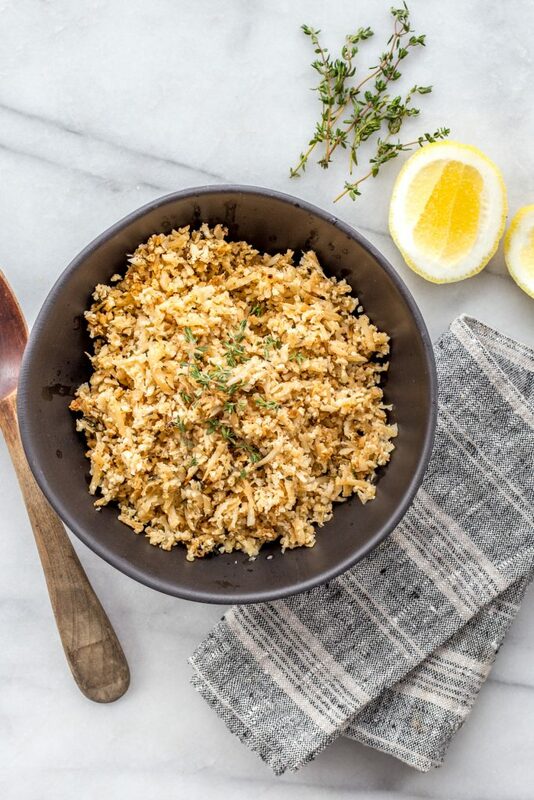 The result is cauliflower rice that’s lightly browned and a little bit nutty—totally perfect. 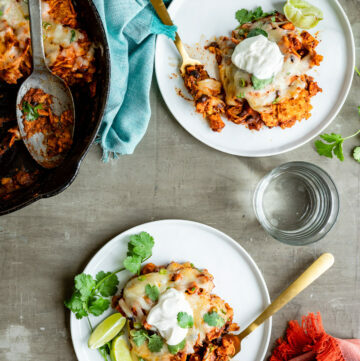 These cauli rice recipes are from Martina Slajerova’s latest cookbook Keto Slow Cooker & One-Pot Meals. If you’re into keto or low carb, you undoubtedly know Martina from her amazing blog, KetoDiet, and apps. 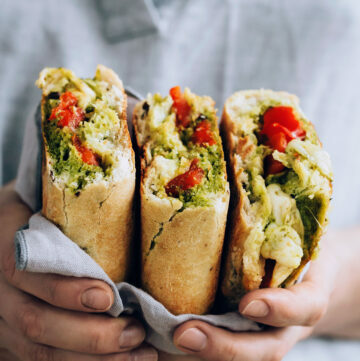 I’ve been a fan of her food blog for some time, and I knew her cookbook wouldn’t disappoint—and it didn’t! 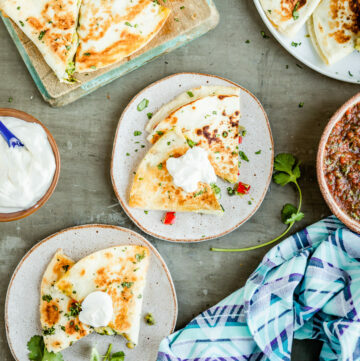 It’s full of simple one-pot dinners that the entire family will love. 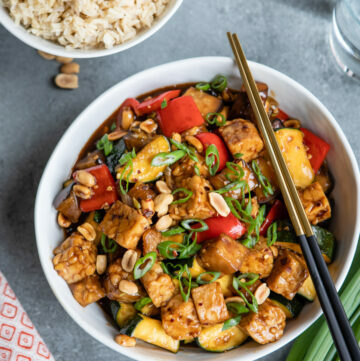 I made the Halloumi Jalfrezi last week with the Masala Cauliflower Rice and it was a huge hit; the Greek Briam, Ratatouille Soup, and Broccoli & Mushroom Alfredo Casserole are all on my list to make soon. Skip the starchy sides and make keto-friendly (and vitamin-C-rich) cauliflower rice instead: it’s the perfect partner for slow-cooked meat and flavorful sauces. 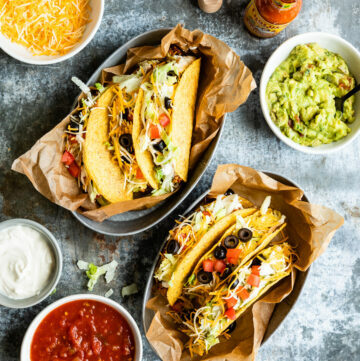 Just add your favorite spices and you’re good to go! 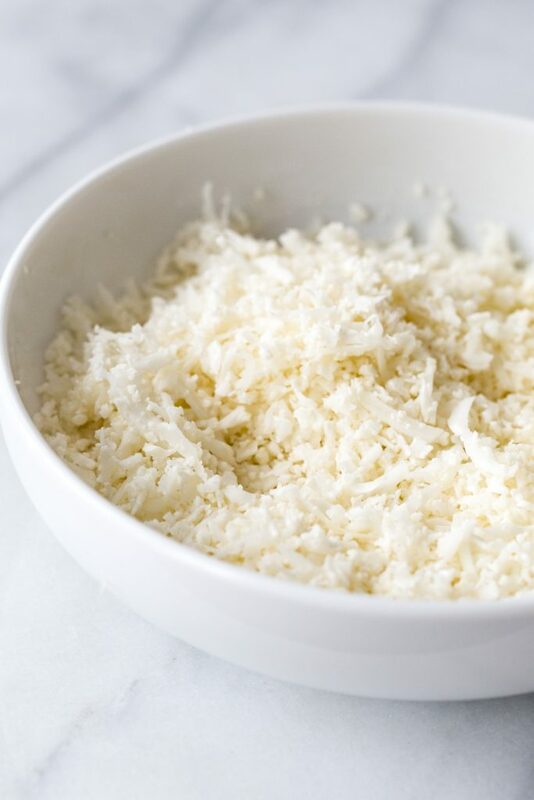 Run the cauliflower florets through a hand grater or food processor with a grating blade. Pulse until the florets resemble grains of rice. 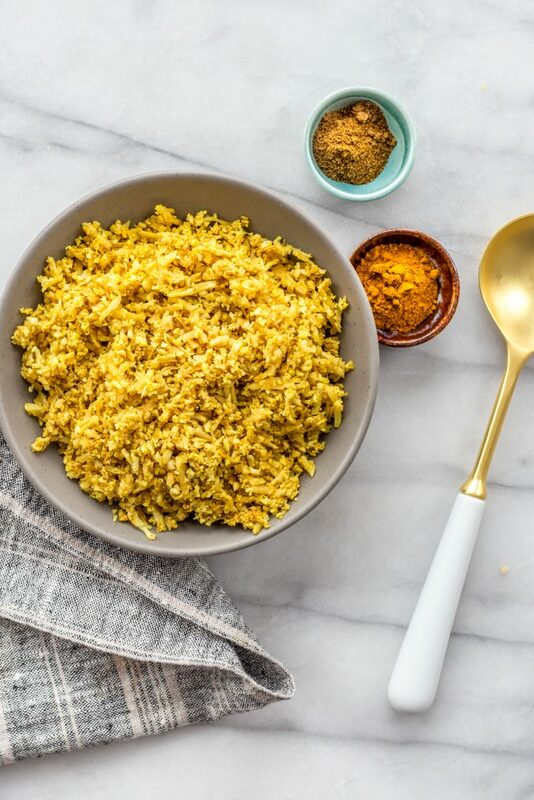 Grease a large saucepan with ghee and add all the aromatics for the preferred cauli-rice recipe: Masala, Lemon & Herb, or Spanish. Mix and cook over medium-low heat for up to 1 minute. Add the cauliflower rice and cook for 5 to 7 minutes, stirring constantly. Season with salt and pepper, and serve with slow-cooked meat and sauce. To store, let it cool and place in an airtight container. Refrigerate for up to 5 days. 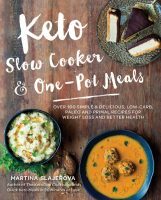 Purchase Martina Slajerova’s Keto Slow Cooker & One-Pot Meals: Over 100 Simple & Delicious, Low-Carb, Paleo and Primal Recipes for Weight Loss and Better Health and preorder her upcoming book, The Beginner’s KetoDiet Cookbook, on Amazon or wherever books are sold.